I had an odd experience a couple weeks ago. I met up with some money managers and financial advisors. They were discussing the same problem: how tough it is to beat the market. Since I focus on closed-end funds, and since I know of many CEFs that have beaten the market thanks to smart managers (I showed you 16 whose average return has crushed the S&P 500 back in November), I found this discussion puzzling. I asked them what they thought about the CEFs that have beaten the market. The trend toward passive index investing is turning into a cult. 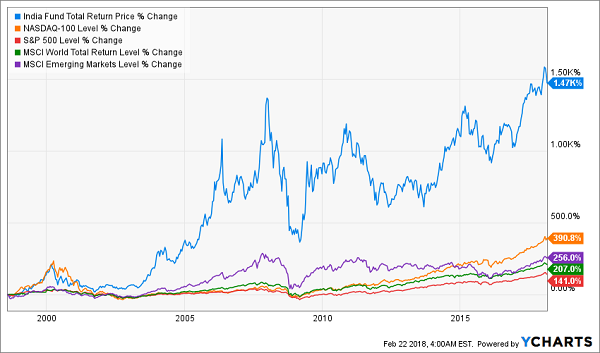 There’s blind obedience to the idea that actively managed funds can’t outperform an index, even when there’s evidence proving this notion wrong, as my colleague Brett Owens showed you in an October article. In a world of smartphones, smart devices and smart homes, it’s always struck me as odd that so many investors want “dumb” funds. Because that’s what passive index funds are—funds that blindly buy and sell assets according to rules another company set up decades ago. Yet they’re all the rage nowadays. 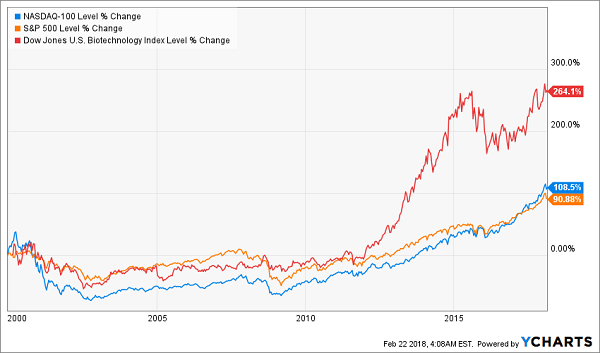 So today I’m going to show you 4 funds that are crushing the index and will likely keep doing so, no matter what the passive-investing crowd says. Some have been doing so since their IPO. Others have done it for a decade or longer. These 4 funds are all different, but they share one thing: a smart approach that beats the “dumb” index funds. But look at the left side of that chart—the blue line (BST) stayed below the NASDAQ 100 and S&P 500 (orange and red, respectively) until the start of 2017. Why? Because this fund was oversold for a long time, probably because so many investors bought into the passive-index-fund trend. Pretty much all of BST’s underperformance in 2015 and 2016 resulted from the fund’s market price falling below its net asset value (NAV, or what its underlying portfolio is worth). This happens with CEFs all the time, and it’s one way you can earn market-busting profits. 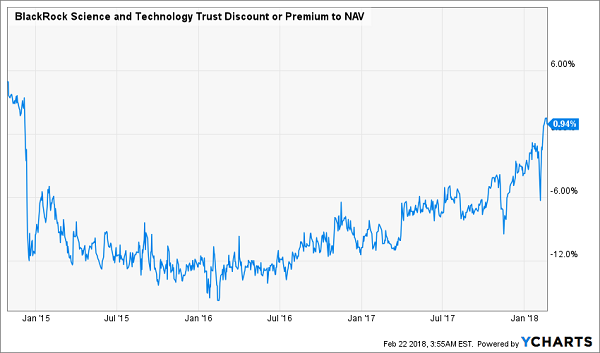 Thanks to a ridiculous collapse from a 6% premium to NAV to a 13% discount, BST underperformed the NASDAQ and the S&P 500 despite steady NAV strength. 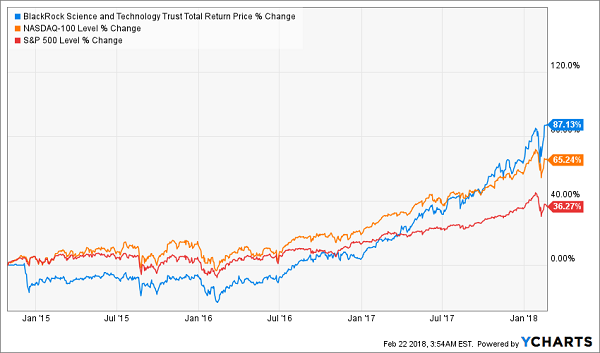 Only recently did investors realize how silly this was, which is why BST started to outperform the indexes in 2017 and will probably keep doing so in 2018. There’s one predictable thing about CEF investors—and we contrarians can exploit it for nice gains over and over again. I’m talking about their unquenchable thirst for income, which can blind them to a terrific buying opportunity. 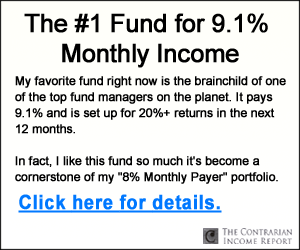 CEF buyers know that many funds offer 9%, 10%, 11% and even 12% yields, so they dive into those funds … even when those funds are terrible. It also means they ignore funds that don’t have a big income stream, creating bargains for the rest of us. Case in point: the India Fund (IFN), which has traded at a ridiculous discount for almost its entire history. IFN pays an unreliable and uneven dividend, making it an unreliable option for those income-starved investors. Some investors may be fooled by the fund’s 12.3% dividend yield, but that’s based on last year’s special dividend—something that more sophisticated investors know won’t be repeated every year. This is why the fund currently has an absurd 12.1% discount to NAV. But should investors get this kind of outperformance at a discount? This absurd return is thanks to IFN’s management. Notice a theme? As with BST, this fund’s smart managers know what Indian firms to invest in and which to avoid. IFN’s shareholders have been amply rewarded as a result. 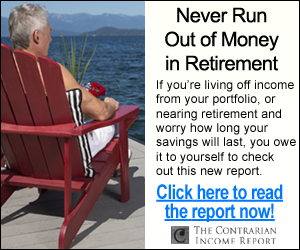 Imagine missing a 753.6% return because you thought active funds couldn’t beat the market! Yet that’s the reality for many investors who blindly buy into passive indexing. But that still begs the question: how did these funds do it? It’s no coincidence that both come from Tekla Capital Management, a little-known Boston firm that brings Ivy League genius to the financial world. With a team of medical researchers and financial pros from UCLA, MIT, the University of Pennsylvania, Johns Hopkins and other world-class institutions, Tekla has the unique ability to see whether the drugs coming out of biopharma companies really will or won’t work. 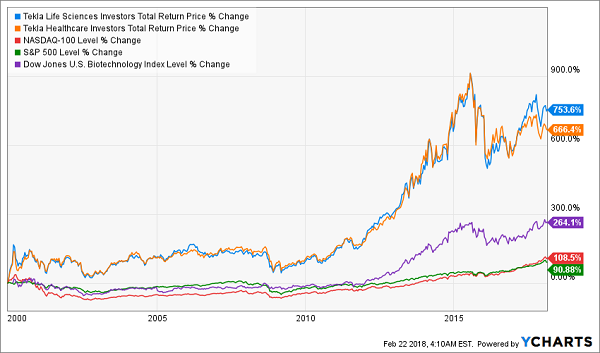 You can see the result in their long-term performance—these are some of the best-performing funds in the world, beating even the best hedge funds. It’s pretty clear: invest smart and you’ll be rewarded with massive profits. And now I have even better news for you: these are far from the only bargain-basement outperformers in CEF-land. Right now, I’m urging members of my CEF Insider service to buy 4 other CEFs trading at discounts just as ridiculous—and even more so—than the 4 I just told you about. And I’ll share the names of these 4 powerhouse funds with you when you click here. The upshot: we’re looking at 20%+ price upside in the next year (or less!) as these 4 unsung funds “snap back” to their usual levels. AND you’ll be collecting a SAFE—and growing—7.6% dividend while you watch these funds’ prices arc higher! That’s a cash payout 4 TIMES BIGGER than what the average S&P 500 stock pays! Don’t miss this incredible opportunity for life-changing income and market-crushing gains. CLICK RIGHT HERE to get the names, ticker symbols, buy-under prices and my complete research on these 4 ridiculously cheap CEFs now.